Few books of scholarship have held up so well to public attention over the last two hundred years. 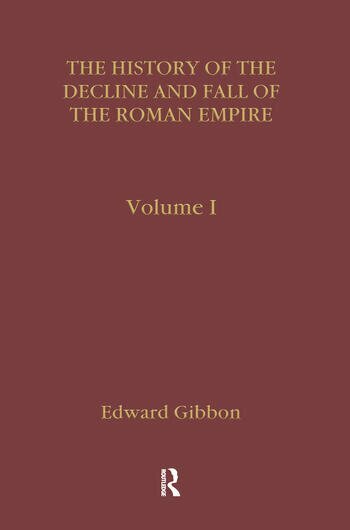 At a time when the materials for this history were scant, a mind as great as Gibbon's was able to absorb everything known on the subject and dominate it with his historical erudition and inimitable literary style. The first volume, highly acclaimed on publication, was quickly reprinted in spite of an ambitious first print-run of 1000 copies. Careless proofreading meant numerous errors had to be rectified in later editions. It was not until the third edition, reprinted here, that the layout was improved and the footnotes appeared at the foot of each page and chapter numbers were placed in the margins.